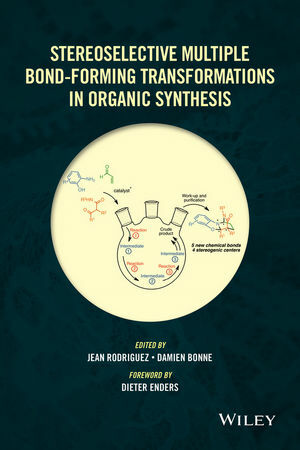 Combining the important research topic of multiple bond-forming transformations with green chemistry, this book helps chemists identify recent sustainable stereoselective synthetic sequences. Jean Rodriguez is Professor and Director of the “Institut des Sciences Moléculaires de Marseille” at Aix-Marseille Université, with research interests including the development of new stereoselective domino and multicomponent reactions and their applications. He was awarded the ACROS prize in Organic Chemistry (1998) and the prize of the Division of Organic Chemistry (2009) from the French Chemical Society and was named a Distinguished Senior Member (2013) of the French Chemical Society. Damien Bonne is an assistant professor at Aix-Marseille Université, with research interests including the development of new asymmetric organocatalyzed methodologies and their application in stereoselective synthesis.